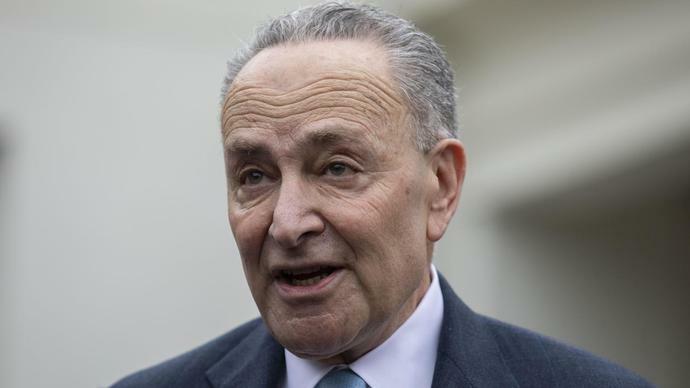 WASHINGTON, Jan 13 (Reuters) - U.S. Senate Democratic Leader Chuck Schumer said on Saturday he will force a vote soon on a resolution to disapprove the Trump administration's decision to relax sanctions on three Russian companies connected to oligarch Oleg Deripaska. "I have concluded that the Treasury Department's proposal is flawed and fails to sufficiently limit Oleg Deripaska's control and influence of these companies and the Senate should move to block this misguided effort by the Trump Administration and keep these sanctions in place," Schumer said in a news release. The U.S. Treasury announced on Dec. 20 that it would lift sanctions imposed in April on the core businesses of Deripaska, including aluminum giant Rusal its parent En+ and power firm EuroSibEnergo, watering down the toughest penalties imposed since Moscow's 2014 annexation of Crimea. After lobbying by European governments that followed the imposition of sanctions, Washington postponed enforcement of the sanctions and started talks with Deripaska's team on removing Rusal and En+ from the blacklist if he ceded control of Rusal. The businessman, who has close ties to the Kremlin, also had ties with Paul Manafort, Trump's former campaign manager, documents have showed. Schumer said given Deripaska's potential involvement with Manafort, and since special counsel Robert Mueller's investigation into Trump's ties with Russia has not yet concluded, "It's all the more reason these sanctions must remain in place."